Start a new chapter with Ever After High, where the teenage sons and daughters of famous fairytales decide whether or not to follow in their parents’ fabled footsteps. The artistic Cedar Wood, daughter of Pinocchio, is an Ever After Rebel, who has been cursed to always tell the truth (even when it can get her friends in trouble). She would like to be able to freely choose what she does and does not say! 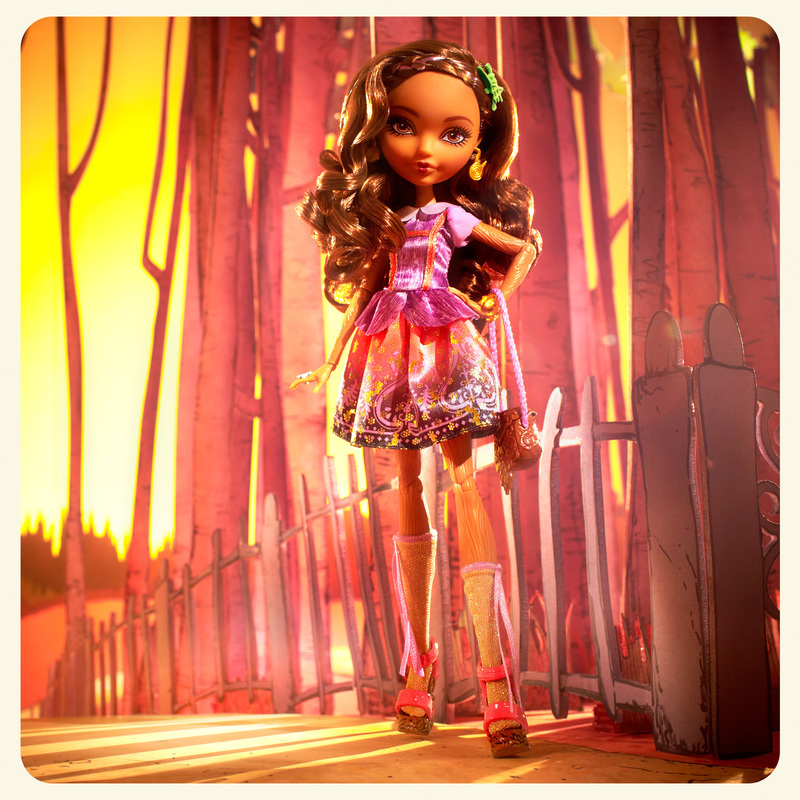 With wood-grain detail throughout her body, this doll is hard to miss! She looks absolutely enchanting in a peplum top with scallop sleeves, lederhosen details and a skirt decorated with a foil print (featuring cricket and filigree designs). Metallic knit knee high socks - with marionette-inspired ribbons - carved wooden clogs and a purse make a true fashion statement. Her jewelry is forest-themed, and her purple streaked hair has a front braid adorned with a cricket barrette. The hexquisite details make for imaginative play and epic posing. 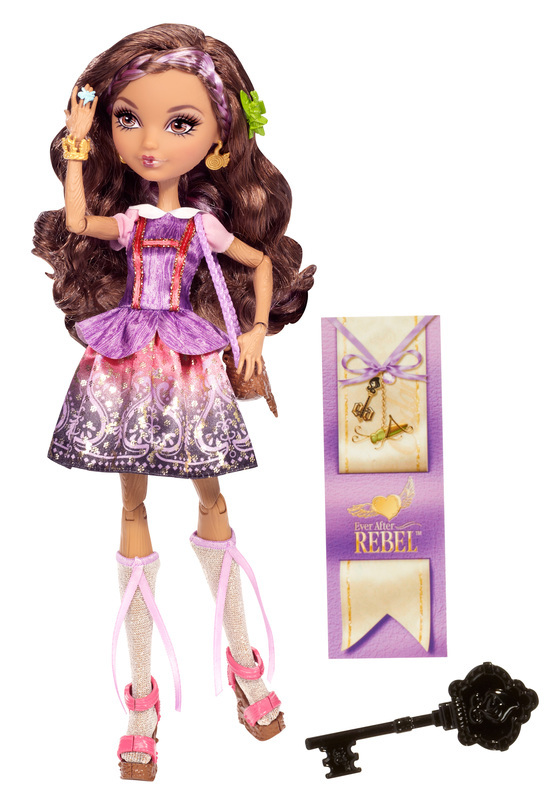 Doll comes with signature-style hairbrush, doll stand and bookmark that tells her hexclusive side of the story. Collect all of the spellbinding students (sold separately) for hexquisite display and storytelling fun. Ages 6 and older. 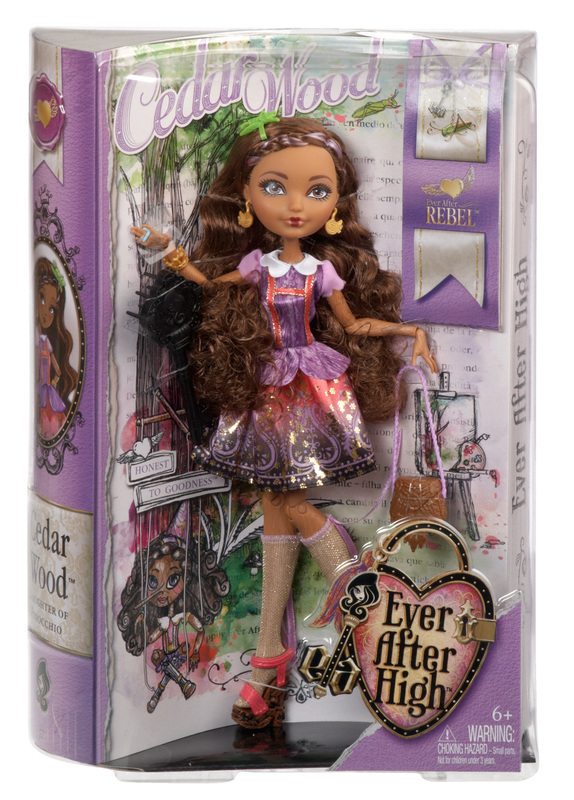 Cedar Wood, daughter of Pinocchio, joins the class at of Ever After High as an Ever After Rebel. 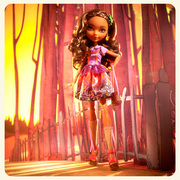 The posable doll is dressed in a spellbinding outfit that takes a modern spin off her father’s legacy. Wood-grain detailing throughout her body is hexquisite. Metallic knit knee high socks - with marionette-inspired ribbons - carved wooden clogs, a cricket barrette and a tree-inspired purse make a true fashion statement.